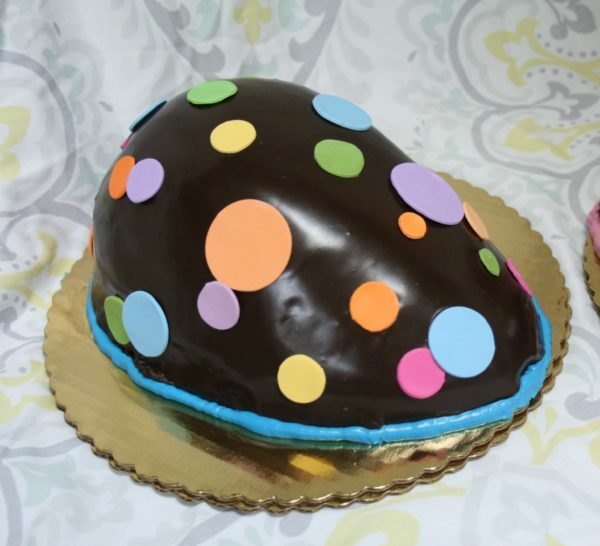 Our classic chocolate mousse cake glazed in dark chocolate Ganache, decorated with multi color polka dots . 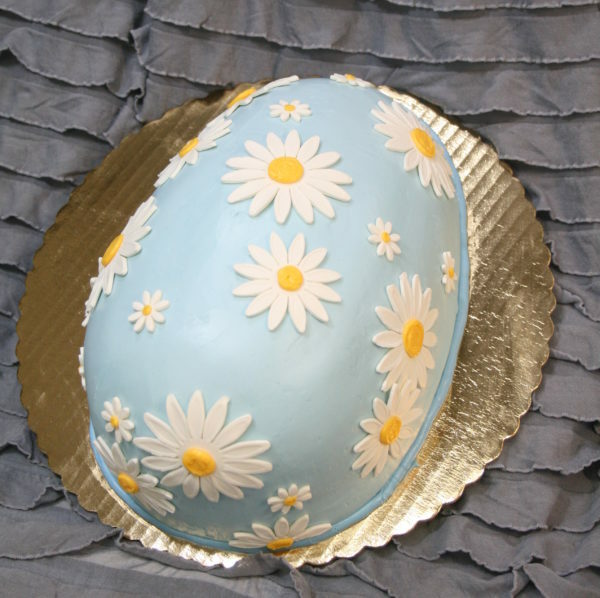 Vanilla chiffon cake filled with Chocolate mousse & finished in light blue buttercream frosting, with Rolled white chocolate daisy applique. 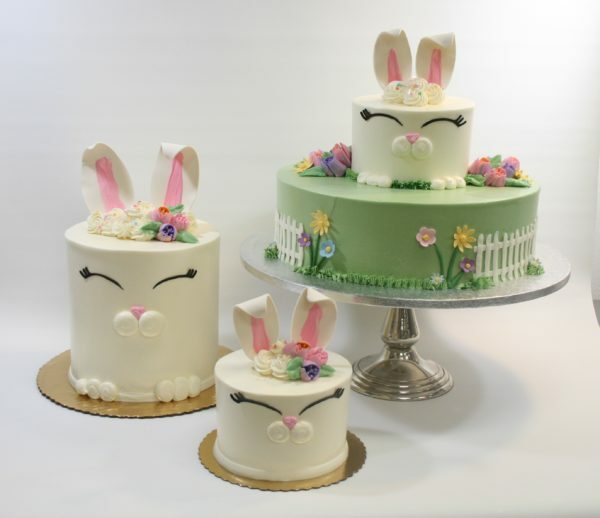 Order in advance & choose any flavor from our cake menu, decorated as a cute bunny. 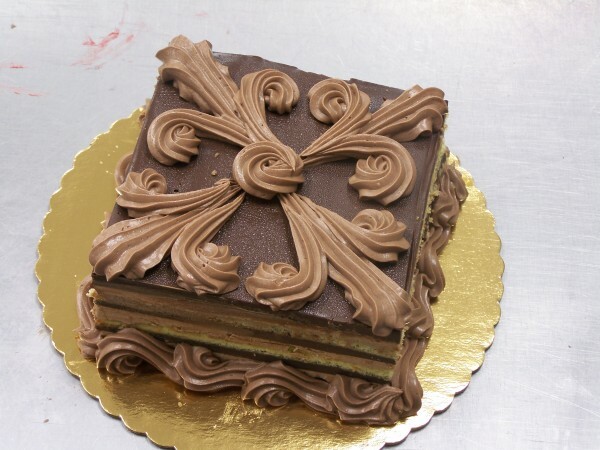 We will have our Raspberry Mousse cake available in store for those who do not order in advance. 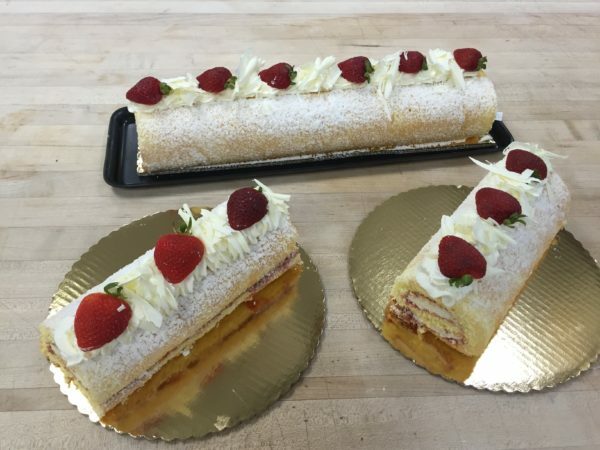 Strawberry Roulade $ 3.25 Slices $11 Half $21 Full Vanilla sponge cake filled with strawberry mousse and accenting layer of strawberry preserve rolled up to form a log. 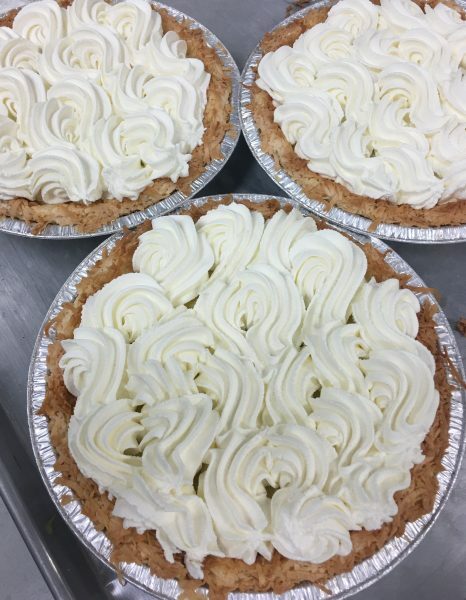 Finished with fresh whipped cream & strawberries. Strawberry Rhubarb Strudel *NEW* serves approx 10 (measures 12″ x5″) $25 Flaky puff pastry is filled with fresh tart Rhubarb & strawberries which are seasoned with sugar, lemon & ginger. A light delicious ending to a big meal! Frosted Sugar Cookies $2.75 each or $30/dz Shortbread cookies frosted with royal icing available in bunnies, chicks, eggs & other spring time shapes. Limited supplies ..call to place your order! 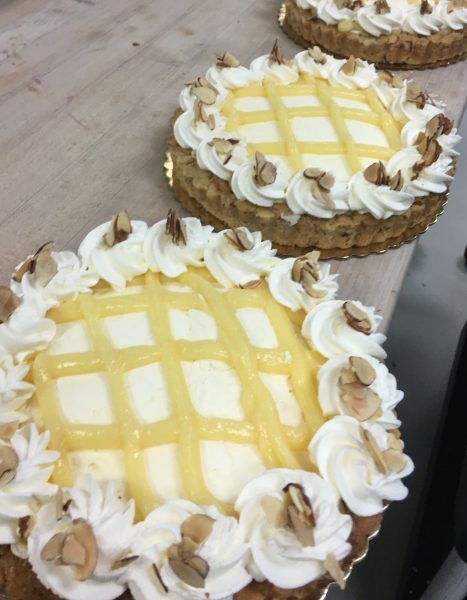 Dessert Works uses old world recipes to create flour-less items for the Passover season. 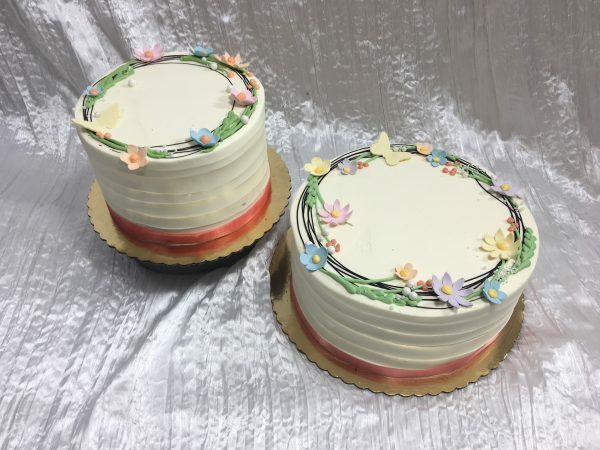 Although not traditional Passover desserts, they are perfect for your celebration, as they contain no wheat. 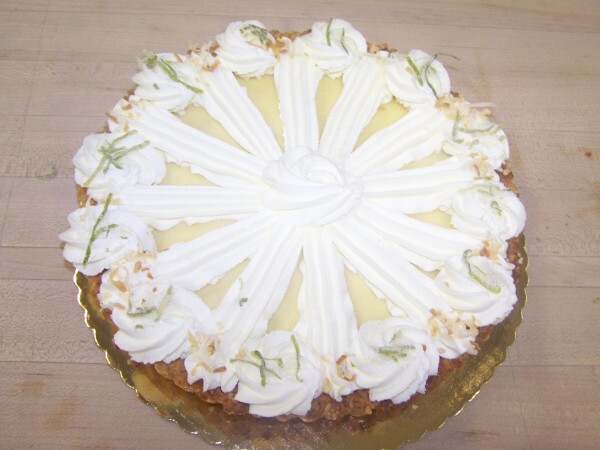 Light and tart chiffon-style lemon cream fills a tender toasted almond crust, accented with lemon curd and fresh whipped cream. 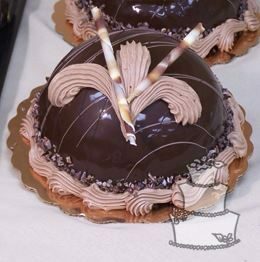 *Cappuccino Bombe* 6”dome (serves 6-10) $27 Milk chocolate Cappuccino mousse layered inside a large semi sphere with our chocolate “nothing” cake, glazed in chocolate ganache. Find more from... "Blog, Seasonal Menu"